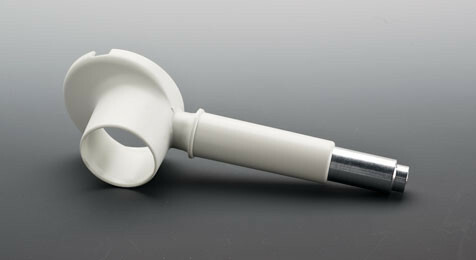 The pluglifter is the universal instrument for closing and opening individual cavities of the NCC-disposables (NCC 96-well plates, 1,5 ml NCC-tubes and 10 ml NCC-tubes). The adaptation-ring at the top end of the plug-lifter makes it easy to mount the pluglifter on an Eppendorf Reference pipette. The pluglifter can of course be used with or without a Reference pipette.